Mont Rochelle is open year-round for visitors, and our 26 rooms and suites can be booked for any length of stay. You could even hire Mont Rochelle exclusively if you're planning a party, a wedding or just a special occasion. There are four spacious Pinotage Suites located in both the Manor Wing and Garden Wing, each of which features a separate lounge and fantastic views. Manor House is a luxury villa located a short walk from the main hotel and just a stone's throw away from the Country Kitchen. The perfect option for a family group or guests looking for a more private retreat, the Manor House features four beautifully appointed suites, kitchen, lounge, two swimming pools and gym. Manor House is available for exclusive hire all year round and can accommodate up to eight guests sharing, plus bunkroom for up to six children. These rates are quoted per room, per night and are priced in South African Rand. They include accommodation as detailed, 15% VAT and a South African Tourism Bed Levy. Flights and transfers for Mont Rochelle are not included. For guests staying in their own room the single occupancy rate is our standard double occupancy rate minus 25%. When sharing a room with their parents, children aged 6-15 are charged at ZAR 1,000 per night including breakfast and soft drinks. Children aged 5 and under stay for free. Supplements may apply for children when sharing a room with their parents. Guests aged 16 years or older are considered adults but may be accommodated in some suites for ZAR 1,600 per night. Two children under 16 years can share a suite with parents. Guests aged 16 years or older are considered adults and therefore only 1 additional adult will be allowed in the suite. When sharing a room with their parents, children aged 6-15 are charged at ZAR 1,125 per night including breakfast and soft drinks. Children aged 5 and under stay for free. Supplements may apply for children when sharing a room with their parents. Guests aged 16 years or older are considered adults but may be accommodated in some suites for ZAR 1,820 per night. Two children under 16 years can share a suite with parents. Guests aged 16 years or older are considered adults and therefore only 1 additional adult will be allowed in the suite. When staying at the Manor House with their parents, children aged 6-15 are charged at ZAR 1,465 per night. Breakfast, soft drinks and a choice of lunch or dinner are included during their stay. Children aged 5 and under stay for free. Guests aged 16 years or older are considered adults but may be accommodated in the bunkroom for ZAR 2,150 per night. Unfortunately we are unable to accommodate extra children sharing with their parents in the Manor House suites. 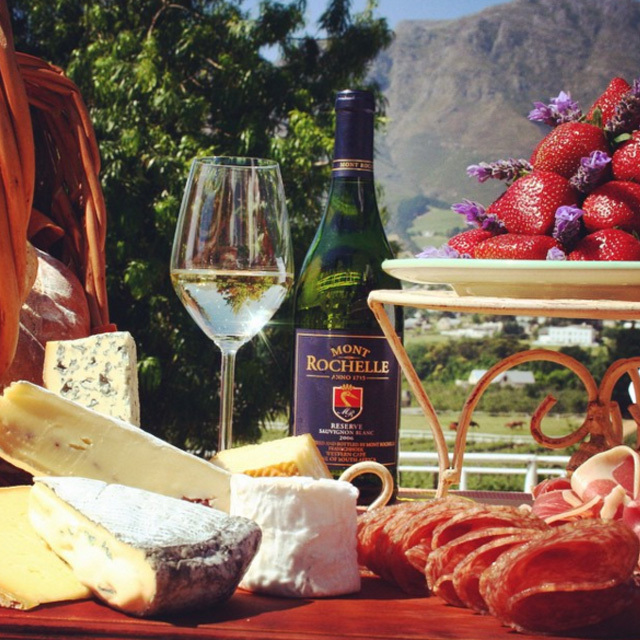 Franschhoek is a traditional vineyard town in the Western Cape Province considered to be the food and wine capital of South Africa. Franschhoek, which in the Afrikaans language means ‘French corner’, was as the name suggests once a French enclave when over 300 years ago a group of Huguenot settlers arrived fleeing religious persecution. That influence, which nestled right alongside the larger Dutch-speaking community, is what gives the region such a rich and varied history, and unsurprisingly, a taste for fine food and wine. 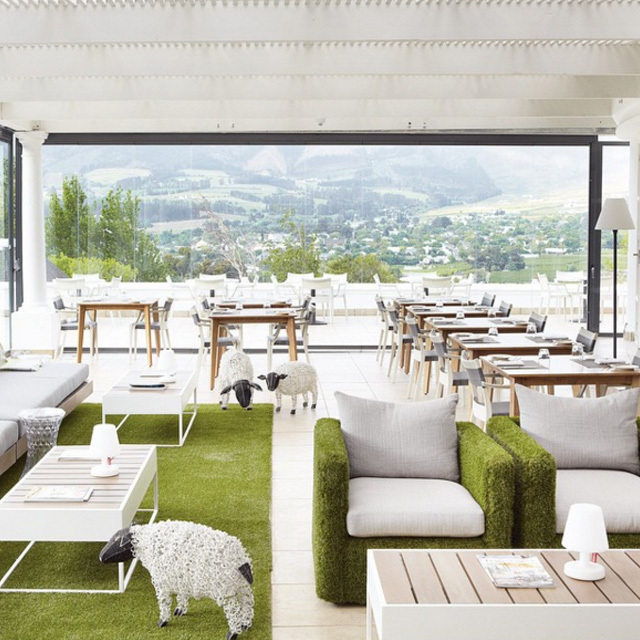 The property is located on Dassenberg Road in Franschhoek, South Africa. 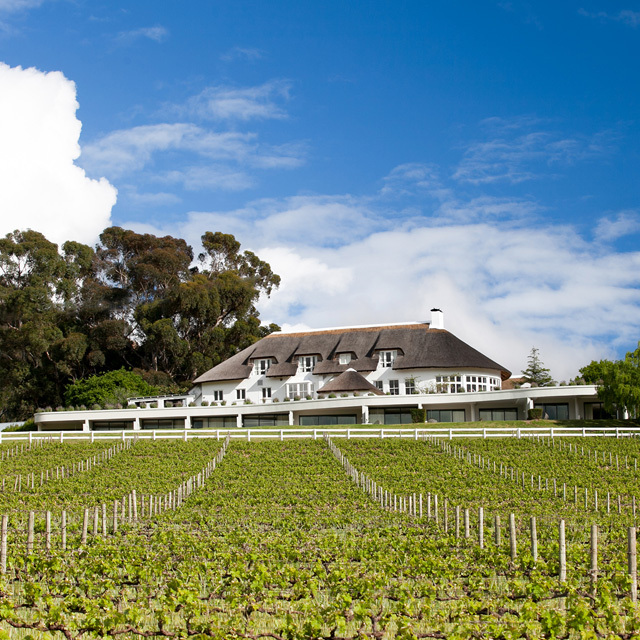 We are an approximate 45 minute drive from Cape Town International Airport and within a 35 minute drive of the Stellenbosch, Paarl and Somerset West wine routes. We can arrange transfers from the airport. Cape Town International Airport serves destinations throughout South Africa and has direct connections to some of the key European and Middle East hubs, with flight times ranging from 10 to 12 hours. Flights from the US east coast take roughly 22 hours transiting via Johannesburg. We can arrange transfers from the airport or from Cape Town itself, so hiring a car isn’t strictly necessary, but if you plan on exploring the region then we do recommend it. Travellers from the US and the EU do not require a visa to enter South Africa, but you must have at least two blank pages in your passport on arrival. Your passport should also be valid 6 months beyond your intended return date. Special requirements are necessary for families travelling with children so please check with your nearest South African Embassy or Consulate. If you’re visiting one of our South Africa properties, new immigration rules to South Africa came into effect from 1 June 2015. This affects everyone who has children 18 years and under when travelling to or from South Africa (with or without their parents or guardians). Children are very welcome to stay at Mont Rochelle year-round and we have the Pinotage and Cap Classique suites which are able to accommodate children on single beds. We have children’s games plus a TV, DVD player and games console for extra entertainment. We would be delighted to organise activities tailored to the needs of our younger visitors. Babysitting can be arranged and a charge will apply but please advise at the time of booking if this may be required. Special food and beverages or simple snacks and light meals can be prepared according to your child’s tastes. When sharing a room with their parents, children aged 6-15 are charged at ZAR 950 per night including breakfast and soft drinks. Children aged 5 and under stay for free. Guests aged 16 years or old are considered adults but may be accommodated in some suites for ZAR 1,500 per night. Can I get married at Mont Rochelle? Most definitely! We’re no stranger to hosting weddings and what a beautiful setting for tying the knot. We’re more than happy to create a tailored wedding experience that’s personal to you. You can also get married at our sister property in South Africa, Ulusaba Private Game Reserve and visit us afterwards, or vice versa. If you’ve married elsewhere we’d be delighted to welcome you for your honeymoon. Can I hire Mont Rochelle exclusively? We have quite a few requests throughout the year to hire all of Mont Rochelle’s 22 rooms and suites for weddings but also for milestone birthdays and celebrations. The four suites in the Manor House can also be hired exclusively as part of your stay. If you’d like the whole place to yourself just ask and we’ll get started planning ideas that will be sure to impress all your guests. We accept most major credit cards, including American Express, Visa, MasterCard as well as cash payments in South African Rand, US Dollars, Euros and British Pounds. Change will be given in Rand at the prevailing exchange rate. There are cash machines at the airport and in Franschhoek, plus most business and restaurants normally accept most major cards. You generally won’t need cash at Mont Rochelle as any meals, beauty treatments and extras not included in your rate can be charged to your room. Tipping is entirely up to you. If you have any questions about tipping, you can discuss this with the hotel manager. Any time you like. Don’t forget South Africa’s position in the southern hemisphere means the warmest months are from November to March, however the average daytime high rarely drops below 15°C/60°F. Many visitors to South Africa choose to combine a trip to the Cape Region with a safari experience in the country’s northeast. You will find that the weather in Ulusaba is often complimentary to the weather in Cape Town, meaning that you will get the best of both worlds! And of course we recommend Ulusaba, our Private Game Reserve in the Sabi Sand Reserve. You can wake up for morning game drive at Ulusaba and be at Mont Rochelle in time for pre-dinner drinks! The atmosphere at Mont Rochelle is casual and informal, but that shouldn’t stop you dressing up for dinner in our main restaurant, Miko. 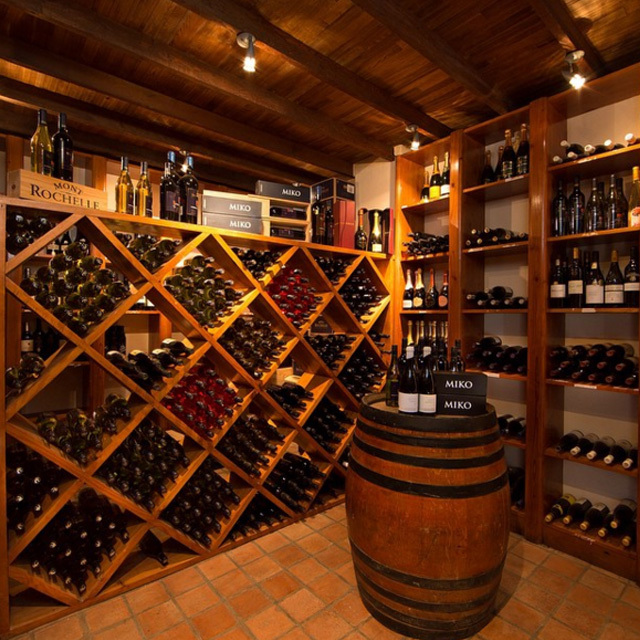 The ambiance at the restaurant next to our wine cellar, the Country Kitchen, is relaxed both for lunch and for dinner. Jackets and ties are never necessary in both restaurants but again it’s totally up to you! When you’re not dining you might well be soaking up the sun around the pool, so we’ve provided some sunscreen however you may wish to bring your own. If you plan on getting active in the gym then don’t forget to bring a pair of sneakers/trainers which could also be handy if you plan on venturing further afield. All rooms come with Africology branded bathroom amenities, tea and coffee facilities, a Nespresso machine, postcards with stamps, a safety deposit box, hairdryer, a well-stocked inclusive minibar, blue tooth Bose speaker sound system, flat screen TV with selected channels. The minibar in the Manor House bunk room is stocked with age appropriate snacks and drinks! Hair straightners and plug adapters are available on request. Yes, every room has a dual air conditioning/heating system that you can adjust to your own comfort level. Can I visit the vineyard? It would be a shame if you didn’t! We organise tours of the winery plus tasting sessions for individuals and for groups and for most guests this is a real highlight. All our rates include breakfast which is served in our main restaurant, Miko. Miko is one of two restaurants at Mont Rochelle and is the setting for some fantastic gourmet meals including for those special occasions. Start the evening off with a refreshing cocktail from our bar and find a comfy space on the terrace to watch the sunset. The Country Kitchen joins up to our wine cellar-it’s an ideal place for a light lunch in the sunshine or a relaxed dinner. Our restaurant, Miko, serves lunch until 3pm and dinner in the evening. The Country Kitchen serves lunch Monday - Sunday 10am until 5pm serving lunch and light bites. There is a wide range of restaurants in the area so please ask a member of our team for a recommendation. 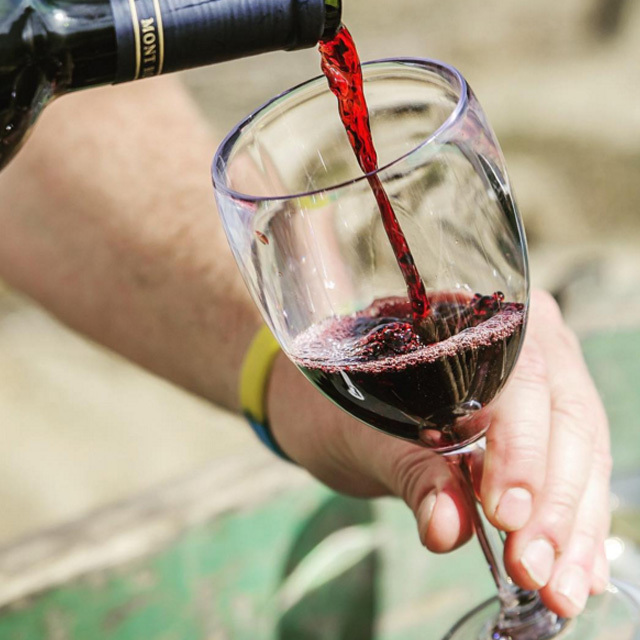 We can reserve a table for you and organise taxis if you don’t have a car and would like to sample some more of the region’s wines. Your room will be available any time after 2pm but if you arrive earlier you are welcome to start using the hotel’s facilities or just book a table for lunch. Check out is officially 11am however we can be flexible – just ask us the night before you leave. We have first aid equipment at Mont Rochelle along with staff trained in administering first aid. There is a pharmacy in Franschhoek for basic medical supplies as well as a general practitioner clinic. In an emergency, ambulances will take patients to better equipped hospitals in Paarl and Stellenbosch which is under a 30-35 minute drive away.